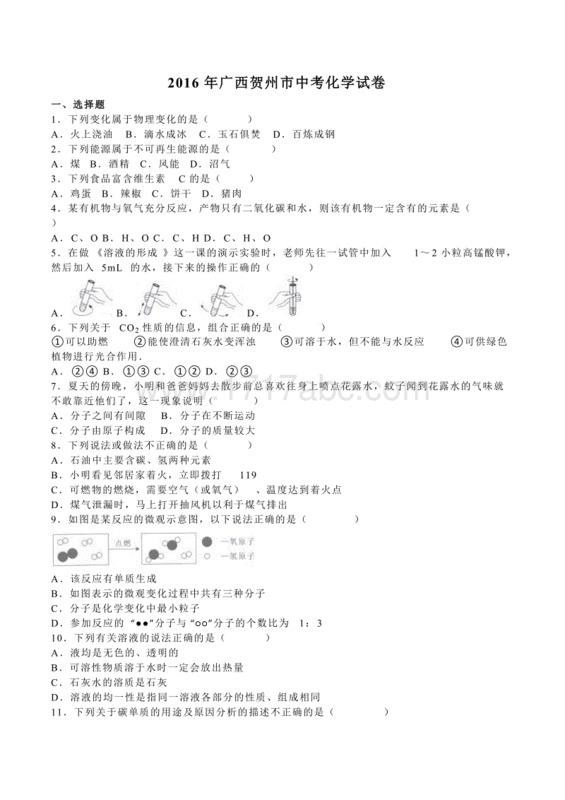 Unit 3笔试部分基础卷I.单词“化妆会” 。小小单词就要登台演出了，你能帮助化妆吗？ A．根据句意和词首字母提示完成句中所缺的英语单词。1.She is our English t______.2.My father and mother work in No. 1 Middle S .3.Is the English-Chinese d yours?4.I like playing c_____ games at home.5. －Your English is very good. －T you. B．根据句意和所给汉语提示完成句中所缺的英语单词。6．This is _______（她的）pencil.7.That’s （你的）ruler.8.Is that his （橡皮擦）？9．Is it a （棒球）.10.Do you have a ______（套）English book? C.用 be（am, is, are）的适当形式填空。11．He ____ a student. His name _______Li Lei.12.I _____ a boy. My name _______Li Ming.13.What ____this? It _____ a bird.14. You ____a girl. Wei Hua _____a girl, too.15. －Tom and I _______in the same class. －That____right. Ⅱ.“火眼金睛” 。你能排除干扰，从下面的四个选项中，找出一个正确的答案吗？ 16.This is _____ “r” and that’s ______ “u”.A. a, a B. a, an C. an, a D. an, an 17. －Is this your ruler? －No, ________.A. this is B. it isn’t C. it is D. this isn’t 18.Mr Green is a policeman. ______car is green.A. His B. Her C. He D. He’s19.－Hello！ Are you Amy?— . A.Yes, I’m B. No, I’m C. Yes, it is D.No, I’m not20.－What’s that Chinese? －It’s “shu”.A.of B. at C.to D. in21. Please call Gina_____234-5678.A. for B. at C.to D. in22. － －Yes, C-A-S-E. A. Can you spell “case”, please? B. How do you spell “case”? C. Spell “case”, please. D. Is that a case?23.－Your watch is very nice.－ .A. Thank you B. Sorry C. Yes, it is D. That’s right24.Where is my _____? I want to do my homework.A. watch B.pen C.ring D. bike25.You can’t look up（查）the word in the _______.A. pencil case B.bookpack C. school D.dictionaryⅢ.口语社区。看图补全下面对话。26.A: What’s this in English? 27. A: Is this a ring?B:－ . B: 28.A: What’s that in English? 29.A: Is this your watch?B: B: 30. A: How do you spell it? B: Ⅳ. 句型变变变。这些句子要求 “变脸” ，你能满足它们吗？ 31.This is my book.（改为一般疑问句）your book？32.Is this your pencil sharper?（做否定回答）No, .33.This is a ball.（对划线部分提问）this?34.you, do, watch, How, spell（连词成句）35. English, That, an, is, car （连词成句）Ⅴ.阅读天地。A36. How many bulletin board notices（启示）in the Lost And Found?A. 3 B. 4 C. 5 D. 637.If you lost your keys, you may call_____to find them.A. 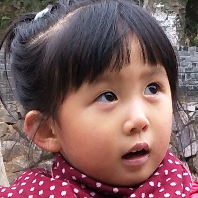 487-2349 B.498-2456 C.412-9856 D. 476-593938.If you found a pencil case, it may be（可能是）______.A. Mike’s B. Lisa’s C. Tom’s D. John’s39.Lisa lost_______according to Lost And Found.A. a blue and white cat B. a black and white case C. a black backpack D. a black and white cat40. who found the book?A. John. B. Mary C. Lisa. D. Mike.BAnn is an English girl. She is fourteen. She is a middle school student. Her teacher is Miss White. Ann helps（帮助）her teacher to put her books and ruler on the desk.They have a new classroom. In it you can see forty desks and chairs. A blackboard, a clock and a map are on the wall.Some pens are on the desks. The red one is Ann’s. The green and the brown ones are Kate’s. Kate is Ann’s good friend. Kate isn’t here today. She is ill（病了）at home.Look at the clock. It’s about four o’clock. It’s time to play games.41. Who is Ann’s teacher?42.What does Ann put on the teacher’s desk.43.What’s in the classroom?44.Which pen is Ann’s?45.Which pen is Kate’s? 提高卷Ⅰ.任务阅读。 阅读下面这段对话，完成文后任务。A: Hello!B: Hello!A: A What’s your name? B: My name is Gao Hui. You can call me（称呼我）Miss Gao.A: Nice to meet you, Miss Gao.B: Nice to meet you, Jim. Please sit down.A: B B: Is this your English book?A: C I think it’s Kate’s.B: Please ask Kate to come here.A: OK!1.What’s the woman’s（妇女的）name？ 2. No, it isn’t. 应放在文中 处。3. I’m Jim Green. 应放在文中 处。4. Thank you.应放在文中 处5.当 Jim 初次见到 Miss Gao 时，怎样和 Miss Gao 打招呼？(请用英语写出) Ⅱ. 练我神笔。假设你是李华，你在教室里拾到一块黑色手表。你些一份启示贴在布告栏里。你的电话是 574－3626。Key:基础卷Ⅰ. 1.teacher 2.School 3.dictionary 4.computer 5.Thank 6.her 7.your 8.eraser 9.baseball 10.set 11.is, is 12.am, is 13.is, is 14.are, is 15.are, is Ⅱ. 16.C 17.B 18.A 19.D 20.D 21.B 22.A 23.A 24.B 25.DⅢ. 26.It’s a computer game. 27.No, it isn’t. 28.It’s an ID card. 29.Yes, it is./ No, it isn’t. 30.B-A-S-E-B-A-L-LⅣ. 31.Is this 32. it isn’t 33.What is 34. How do you spell “watch”? 35.That is an EnglishⅤ.36.C 37.B 38.C 39.D 40.A 41. Miss White. 42. Miss White’s books and ruler. 43. They are desks and chairs. 44. The red one is. 45. The green and the brown ones are.提高卷Ⅰ. 1.Gao Hui. 2.C 3.A 4.C 5. Nice to meet you.Ⅱ.Found: Black watchIs this your watch?Please call Li Hua.Phone # 574－3626.